Why does anyone want to have his or her dog trained? For many dog owners, it’s either to make a behavior improve, or to prevent unwanted behaviors from developing. For some it’s because they want to do fun things with their dog. Regardless of the reason, there is a level of trust given to trainers. Dog owners trust, at some level, that the trainer knows what they are doing, and that their dogs will not be harmed in the process of the training. Here’s the clincher: dog training is NOT a regulated field. There is no protection in place for the general public, and anyone can call him or herself a dog trainer. There are those who only have the knowledge taught to them by someone else, or who have been training dogs in some capacity or another for many years. This, however, doesn’t necessarily mean that the trainer is doing the training correctly. It doesn’t mean that they aren’t hurting the dogs under their tutelage. See, behavior is a science. It’s studied around the world and millions of dollars in grants are given to the quest of understanding it and subjecting it to rigorous scientific study. The findings of all these works have indicated that punishment is detrimental to a learner (in this case, dogs). The use of punishment, where an unpleasant consequence is imposed in the form of physical sensations or perceived threats, results in increased aggression in dogs. Different behavior scientists have tested this, over and over, and by and large, the results of the studies support this. That’s why it’s science. It’s not that the idea originated somewhere in the mists of time and has been passed down generations, so it has to be true. Science doesn’t care about what has always been said, or what is believed. Science takes an idea, puts it through the ringer, and then sees what happens. Then, it does it again, with a different person doing the ringing. And again. It takes the belief out of the equation, and focuses on what actually happens. And science is showing that punitive training methods harm dogs and cause unintended behavioral fallout. Thankfully, the tide seems to be turning, and more dog owners out there are aware of this. It’s a wonderful thing that is happening and it’s changing the face of how dog training is viewed. 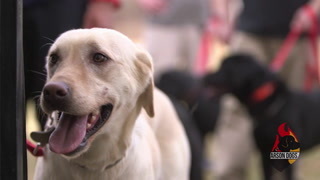 Owners are becoming more selective in who they hire to train their dogs. And trainers that still use pain, intimidation, and fear to coerce a behavior are also taking note. 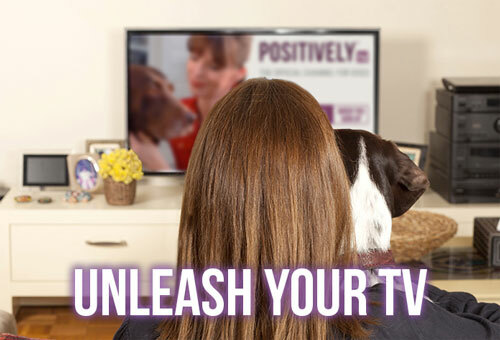 The term “positive training” is the newest word in marketing dog training services. Because dog owners know that they should be looking for training that uses positive reinforcement, this has become the newest buzzword. Marketing has one purpose, and it’s not to educate, or to look out for your best interest. Marketing is there to make you buy something- in this case, the training services of any given trainer. When trainers that use punitive methods advertise their services, they are going to be really good at selling them to you. They have to. Think about it: “We shock your dog into compliance!” is not exactly the best tag line. They will use words that sound like what you are looking for- and this is why it’s important that every dog owner read the fine print and do some poking around to see how trainers go about their training. This is where flags need start to be raised. A trainer that does not use force or coercion to elicit or stop a behavior doesn’t even need to mention this. It’s not a part of the equation. Why? Because science has shown how to get the desired behavior without the use of force or coercion. And science has shown that it works. (For those who want to know, one of the applications is the differential reinforcement of incompatible behaviors. There is also counterconditioning and desensitization. None of which require the introduction of anything unpleasant to the dog.) A trainer that uses positive reinforcement and steers away from training with the use of force knows this. Whoa. Read that again. Great name for the program that implies the use of “positive” methods- it’s even in the name! And it focuses on positive reinforcement (great!) and uses a little teeny-tiny bit of “correction” via an “e-collar”. (In case you don’t know, e-collars are remote electronic collars that are designed to deliver an unpleasant physical sensation to a dog. It hurts them.) But the way this is written helps the dog owner perceive that it’s not that big a deal by going right back to talking about using rewards and praise which gets the dog to do as commanded. It’s the same approach that drug companies use to tell you about all the side effects of their product. Sure, they’re telling you what they are, but they are saying it in a happy voice, with happy and uplifting music, while you watch happy people who have presumably been cured of their particular affliction. It doesn’t make it sound all that bad. Right? So again, he mentions the use of coercion through the use of an “unpleasant” physical sensation. He then follows it by saying the common claim of trainers that use shock collars that “when used properly” (implying that there is a safe, correct way of using them without causing behavioral harm or physical pain) gets the dog’s attention (no kidding…), and enforces the commands that the dog has learned. Enforcement means to force, to make them do it, to coerce. It means that it does not give the choice and there will be consequences to not doing it. Watch until 1:45, although this will also speak about what this teaches us about human depression. And if they could extrapolate the results of this experiment on dogs to what happens in depressed humans, it bears to say that the dogs were depressed as a result. From the use of shock collars. Back to our sales pitch. The trainer compares what the dog is feeling to what patients of physical therapy feel when a TENS is used on them. What he fails to mention is that TENS is used on humans who understand what is happening, know when it’s coming, and have the means to stop the therapy if it becomes too uncomfortable. After my C-section my stomach muscles weakened enough that I started to have sciatica. TENS was one of the therapies given to me by physical therapists at the hospital to improve my affliction. If I didn’t understand what was happening, why it was good for me, was not given a heads up that the sensation was about to begin, didn’t know if and when it would end, and didn’t have a way to tell my physical therapist that it was uncomfortable, they would have had to restrain me. Yet, this is what any dog who is subjected to e-collar training goes through. such adversarial techniques have negative consequences that those promoting these techniques either dismiss or ignore. I encourage you to read the entire editorial on “Why electric shock is not behavior modification” here. Indeed, it is a buyer beware world out there. You are your dog’s advocate. You are her voice. She has no choice, and is completely at your mercy as to her physical health, behavioral health, and overall happiness. It’s your job to make sure that she is safe. may be an honest sales pitch. But it won’t sell the goods. 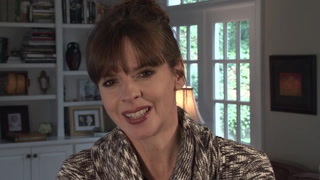 Lorena Patti is a Victoria Stilwell Positively Dog Trainer out of Orlando, FL. A Karen Pryor Academy Certified Training Partner and Certified Professional Dog Trainer-Knowledge Assessed, she is also a licensed presenter for Family Paws and Doggone Safe’s “Be a Tree”.